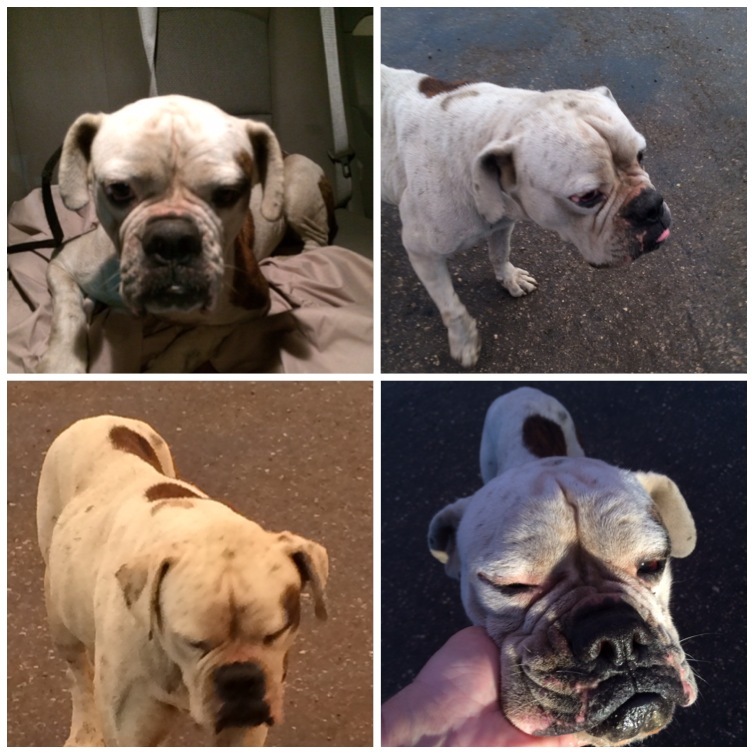 American Bulldog Rescue - 501C3 Not-for-Profit Dog Rescue Charity – Another discarded momma dumped at the rock quarry to die. Another discarded momma dumped at the rock quarry to die. Yet another poor soul dumped dog at the rock quarry to die a certain death. It seems there’s a breeder in Hialeah, FL that uses up these poor dogs and then drives them to the rock quarry to die. The workers at the factory said she was driven over and thrown out of her car 2 weeks ago (minus her litter of puppies). She’s been trying to get food, but the other feral dogs wouldn’t let her eat. She’s spent her time in hell sleeping under one of their trucks to escape the sun. Sweet Ellie will be the 6th dog we saved from there. Bert, Bertha, Betty, Kiwi, Sophie and General were previously found in the same condition. Ellie was completely dehydrated and emaciated when she was brought to the vet. We’re so happy to have you here with us Ellie and can’t wait to see your transformation… and we promise you a better life! We’ll keep you posted on Ellie’s progress. If you’d like to donate to Ellie’s care please remember… no donation is too small.